Since changes to immigration policies by the federal government began in early 2017, my office has taken many steps to protect Vermont’s immigrant communities. I believe that no matter where you came from if you live in Vermont and call Vermont home, you are a Vermonter. It is incumbent upon all of us to do what we can to support all Vermonters, and I will continue to stand up for our immigrant communities however I can. My office has taken numerous steps, some of them unprecedented, to protect Vermont’s immigrant communities. We joined as a party to three major lawsuits challenging the federal government’s changes to immigration policies – including, most recently – a trial win removing a citizenship question from the 2020 Census. We have also worked with other states and major cities in filing at least a dozen amicus (“friend of the court”) briefs in support of immigrants and asylum seekers. In addition, we successfully advocated for legislation that mandated adoption of Fair and Impartial Policing policies for every local law enforcement agency. We also led efforts to pass S. 79, which limited the ability of state law enforcement to assist federal authorities in carrying out federal immigration enforcement (vesting such authority exclusively with the Governor). My office also convened the Immigration Task Force, which brought together stakeholders, including law enforcement, members of the immigrant community, State government, and concerned citizens, to collaborate on solutions to the crises created by the federal government’s change in immigration policies. The Task Force published a municipal guide for cities and towns on federal immigration law. We aren’t done yet. My office has recommended legislation and is designing trainings for local law enforcement agencies to further support Vermont’s immigrant communities. New York v. Trump, Docket No. 17-cv-5895 (EDNY). Co-Plaintiff challenging Trump Administration’s decision to rescind the DACA program. Preliminary injunction originally issued, rescission on 2-13-18, matter on appeal. Washington v. United States, Docket No. 18-cv-1979 (S.D.Cal.). Co-Plaintiff challenging Trump Administration’s policy on separating migrant children from their families at the Southern border. Preliminary injunction issued. New York v. U.S. Dept. of Commerce, Docket No. 18-cv-2921. Co-Plaintiff challenging inclusion of citizenship question on the 2020 census. Trial judge recently granted injunction in favor of plaintiffs. Trump v. State of Hawaii, Docket No. 17 A 550 (S.Ct.). Challenge to administration’s third travel ban. The Attorney General’s Office (AGO) also joined in amicus briefs that successfully defeated the more stringent first and second versions of the travel ban, as indicated below. International Refugee Assistant Project v. Trump, Docket No. 17-1351 (4th Cir). Challenging second travel ban. State of Washington v. Trump, Docket No 17-35105 (9th circuit). Successful challenge to first version of travel ban. Garza v. Hargan, Docket No. 17-5236 (D.C. Cir). Challenging federal government’s policy blocking detained unaccompanied immigrant minors from obtaining abortions. City of Chicago v. Whitaker, No. 18-2885 (7th Cir.). Challenging U.S. Department of Justice of decision to condition disbursement of Congressionally-mandated Justice Access Grants (JAG) to state and local law enforcement agencies upon providing assistance to federal immigration enforcement officials. United States v. California, No. 18-16496 (9th Cir.). Supporting California in challenge to federal government’s authority under 8 U.S.C § 1373 to prohibit state / local governments from controlling whether or when their employees communicate with federal officials regarding individuals’ citizenship or immigration status. City of Philadelphia v. Attorney General of the United States, No. 18-2648 (3rd Cir). Challenging U.S. Department of Justice imposition of immigration assistance conditions to JAG grants for law enforcement. Inland Empire Youth Collective v. Nielson, No. 18-5556 (9th Cir.). Supporting plaintiffs in class action challenge to DACA rescission. East Bay Sanctuary Covenant v. Trump, No. 18-cv-06810-JS (N.D. Cal.). Supporting preliminary injunction to block efforts to limit asylum applications. Injunction issued December 19, 2018. Ramos v. Nielsen, 18-cv-01554-EMC (N.D. Cal). Supporting injunction blocking termination of temporary protected status (TPS) program for approximately 300,000 refugees. Preliminary injunction issued October 3, 2018. Saget v. Trump, 1:18-cv-01599-WFK-ST (E.D.N.Y.). Opposing motion to dismiss challenge to termination of TPS program. Rodriguez v. Marin, Nos. 13-56706 (9th Cir.). Challenging policy of prolonged detention of persons awaiting immigration removal proceedings. AGO was a leader in efforts to pass S. 79 prohibiting creation of a registry based upon religion (amongst other criteria) and limiting the ability for state law enforcement to assist federal authorities in carrying out federal immigration enforcement (vesting such authority exclusively with the Governor). AGO supported passage of Fair and Impartial Policing (FIP) legislation, mandating that local law enforcement agencies comply with the statewide FIP, which limits participation in civil federal immigration enforcement. This was done in conjunction with ACLU and Migrant Justice. The FIP policy the AGO helped design has greater protection for fourth amendment rights by forbidding police from honoring civil immigration detainers, and it restricts communication with federal authorities far more tightly. Neither of these provisions were required in any previous model policy. The current model policy is the strongest possible policy that can be created that is consistent with federal law and public safety. The model FIP policy was drafted in conjunction with ACLU, Migrant Justice, and others. Almost every local law enforcement agency adopted the model policy. As part of the implementation of FIP, the AGO reviewed the policies of each local law enforcement agency that did not adopt the model policy. After consultation and review, any policy that was less protective than the model policy has been brought into compliance, and the AGO has approved it. Now local law enforcement agencies have policies that are at least as protective of immigrant communities as the model policy. 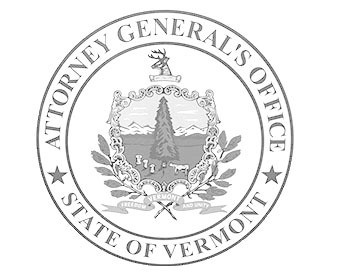 This legislative session, the AGO has recommended amendments to Vermont Act 54 that would allow local law enforcement agencies to extend additional protections to immigrant communities and legislation to empower state and local law enforcement agencies to more closely control their officers’ communications with immigration authorities consistent with federal law. AGO is currently developing, with the Vermont State Police FIP Unit, advanced training in hate crime and bias incident investigation and reporting. The AGO will also provide trainings in the implementation of the FIP policy, with an emphasis on immigration and underrepresented communities. For these trainings, rather than require officers to travel to the Vermont Police Academy in Pittsford, the Attorney General’s Office and the Vermont State Police will instead travel to local law enforcement agencies to make it easier for law enforcement agencies to attend trainings.